Frank Sinatra was one of the most seminal vocalists and entertainers of the 20th century. The idol of the “bobby soxers”, he received monumental adoration from young traditional pop music fans, mostly females. Sinatra created a pattern that endured through the eras of Elvis Presley, rock ‘n’ roll, and the Beatles. In a career that spanned almost seven decades, he sold more than 150 million records worldwide. Born “Francis Albert Sinatra” in Hoboken, New Jersey in December 1915, his father was a boxer-turned-fireman while his mother was a former barmaid. An amateur singer at high school, he dropped out without graduating and worked at the local newspaper as a delivery boy. Frank Sinatra meanwhile participated in a number of talent contests, either solo or with Hoboken Four (previously The Three Flashes). During one of the radio performances, renowned bandleader Harry James heard Sinatra sing and immediately hired him to front his band for $75 a week. The young singer perfected his vocal phrasing, breath control, tonality and style for the next few years and these skills would make him the first modern pop star in history. Sinatra embarked on a solo career in 1942 and recorded the signature songs, such as “When Your Lover Is Gone”, “Fools Rush In” and “I’ve Got a Crush on You”, that epitomized his early career. After a dry spell in the late 1940s, his career was reborn in 1953 after he won the Academy Award for his performance in From Here to Eternity. Sinatra recorded 51 albums of timeless classics from 1954 to 1975 with some of the finest arrangers and songwriters of the time, including Nelson Riddle, Sammy Cahn and Gordon Jenkins. While his musical output slowed down considerably in the 1980s, Sinatra extensively toured in 1985, performing sold-out concerts and won Grammys for his collaborations with Bono and Tony Bennett. Illness kept “The Voice” out of the public eye for almost a year. Sinatra died aged 82 with his family by his bedside at Cedars Sinai Hospital, after suffering a severe heart attack in May 1998. His funeral was held at the Roman Catholic Church of the Good Shepherd in Beverly Hills, California. The event was attended by over 400 mourners while thousands of fans gathered outside to pay their respects. Frank Sinatra won numerous awards and accolades in his music and acting careers, including eleven Grammy Awards, three Laurel Awards, two Academy Awards, and four Golden Globes. He has been inducted into the the Big Band and Jazz Hall of Fame, the New Jersey Hall of Fame, and the Hit Parade Hall of Fame. Sinatra has three stars on the Hollywood Walk of Fame. 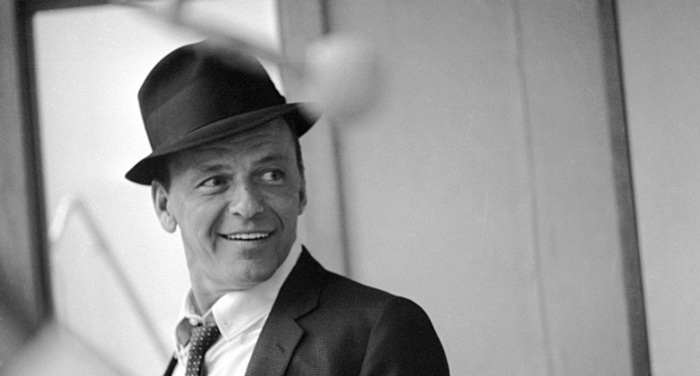 Frank Sinatra had a controversial personal life. His alleged links with organized-crime and attitude problems made news in the tabloid press. Sinatra was married four times and had three children.